It’s senior year and it’s now or never. Callie Rivera always wanted to be part of her school’s drama club, and she finally musters the courage to audition for Shakespeare’s classic A Midsummer Night’s Dream. Only she got the audition dates wrong and landed a role that only existed in her wildest dreams. And her co-actor? None other than Landon Arcival, theater actor extraordinaire, not to mention Callie’s (former) crush— or so she says. 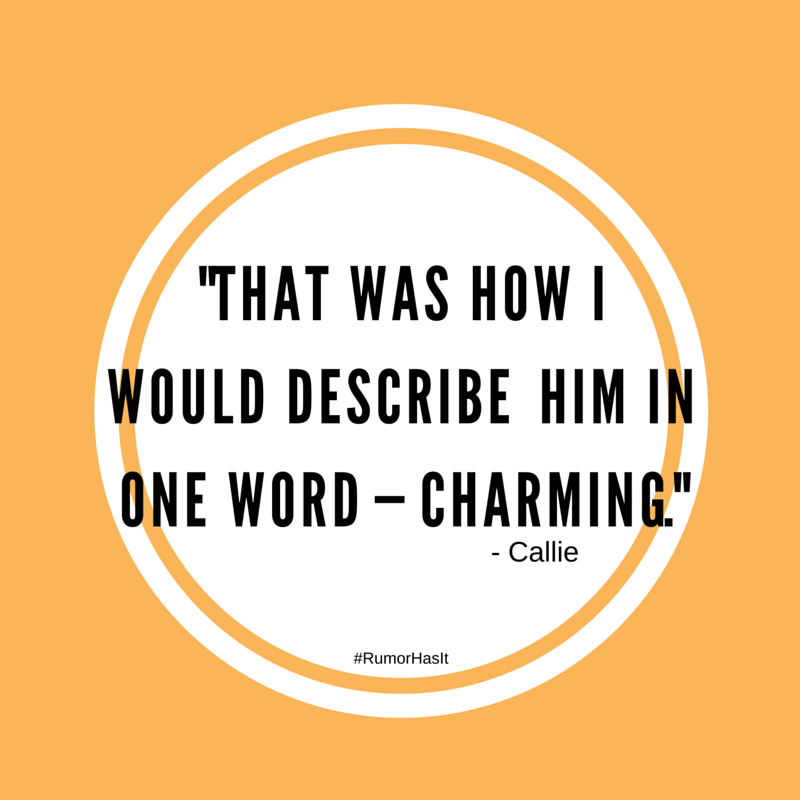 Callie is living the dream, until she wakes up to a nightmare. According to the rumor mill, she is sleeping with different guys in her school. Of course, it isn’t true, but who would believe her? And the worst part? It may or may not be her fault the rumors spread in the first place. What to do? Callie finds herself in the middle of a hot mess. But then Landon proposes the perfect plan that can fix everything, but only if they don’t fall for each other first. Callie Rivera finally took the chance to audition for the school’s drama club, but she got the audition dates wrong and found herself landing a role in the club’s major production for the year. What made it even more awesome was she was playing a role with her (former) crush, Landon Arcival, also known as Golden Boy in her head. All seemed to go well, until a rumor that she sleeps with different guys spread in her school. (Not true, although she did lie about it at one point.) As Callie tried to find a way to get out of the mess, Golden Boy comes up with a plan. Should she go for it? Rumor Has It reminded me of two things: Easy A, and Amy Spalding’s The Reece Malcolm List. There’s rumors, performing arts and so many interesting characters only reminiscent of high school. Rumor Has It has all those interesting characters, from Callie to her best friend Beatrice and to the theater folks. I liked the entire dynamic of their high school — a lot different from what I grew up with but still believable that it was easy to get lost in the entire rumor mill. Overall, Rumor Has It is a book as cute as its cover. Not too candy sweet, but still sweet enough to leave a smile on your face when you’re done. :) Looking forward to reading the author’s other books! Farrah F. Polestico wanted to be a lot of things in life— an engineer, a nurse, an astrophysicist. But it wasn’t until she was thirteen when she knew for sure she was going to be a published writer. And now she is. When she’s not up all night writing her next book, you can find her reading anything and everything from a Charles Dickens novel to old grocery receipts. 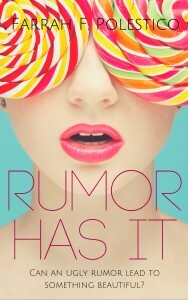 Want to read Rumor Has It? Join the giveaway and win an ebook copy!